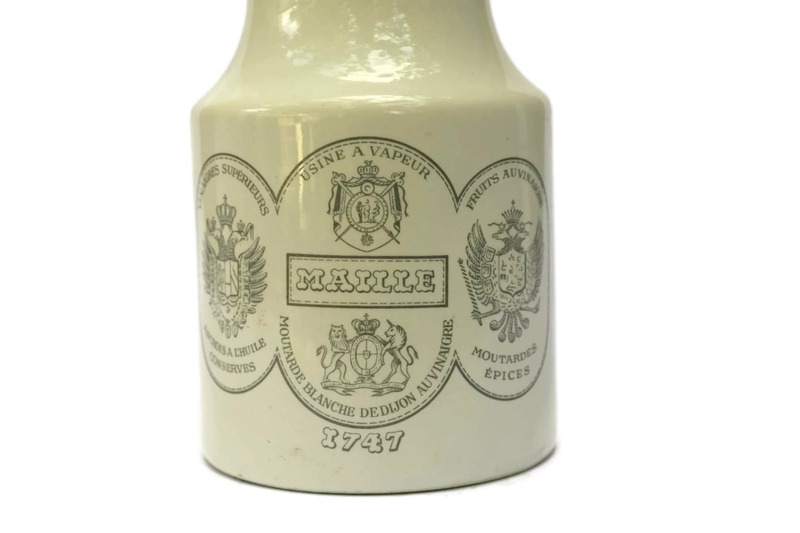 A collectible French antique mustard pot dating from the 1930's from the famous French brand Maille. 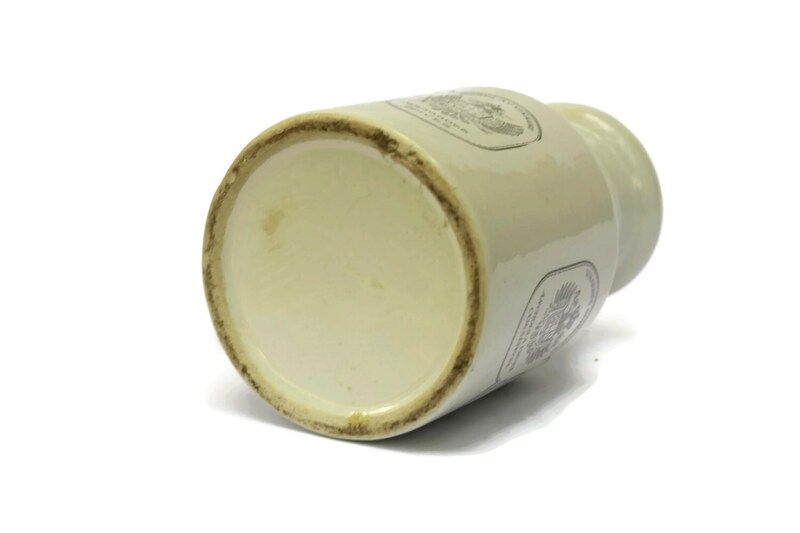 The large antique stoneware pot has been decorated on both sides with grey advertising transferware. 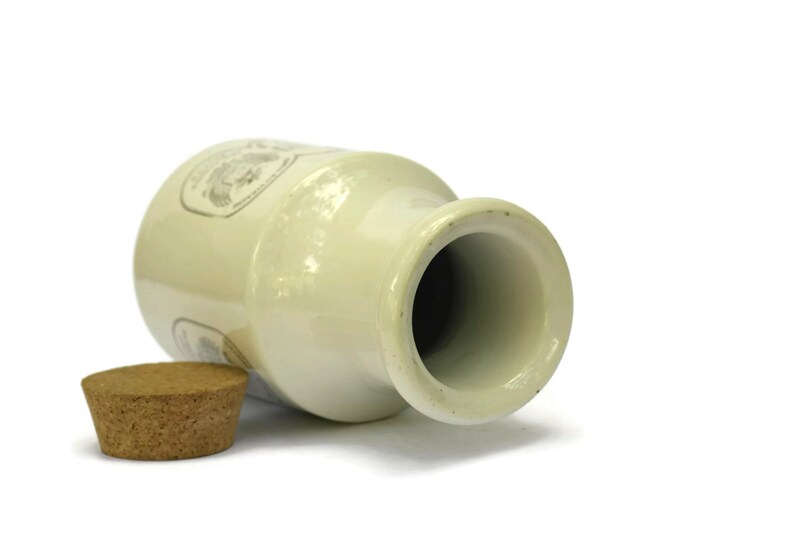 It has a removable cork. 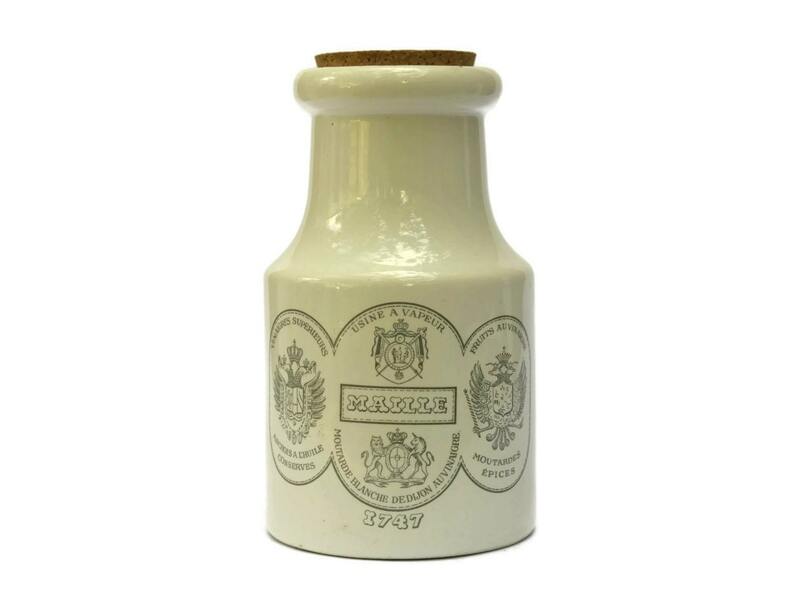 This mustard pot will make a great foodie gift for him. The maximum diameter of the base of the pot is approximately 4" (10 cm) and the height of the stoneware is 6.75" (17 cm). 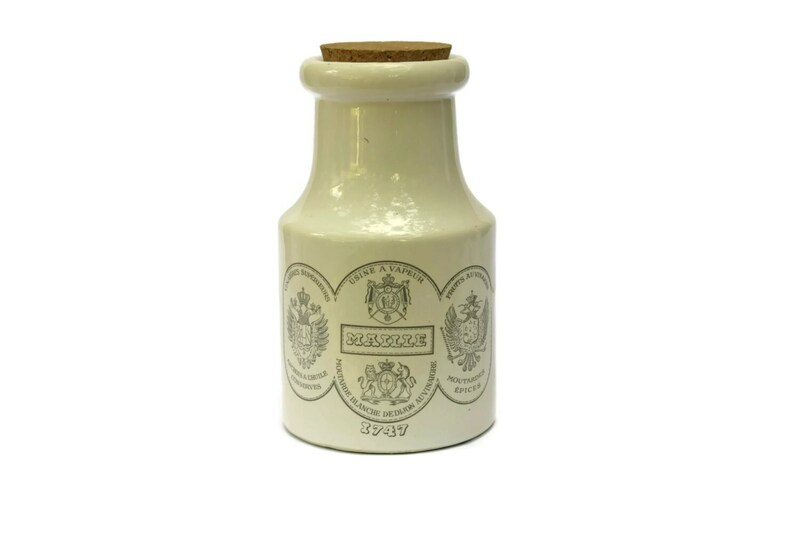 The Maille Mustard Pot is in very good vintage condition with light appropriate wear. There is no chips, cracks or restauration.